The Mid-Autumn Festival is a harvest festival celebrated in Eastern Asia, such as China, Taiwan, Macau, Vietnam, Hong Kong, Korea etc. 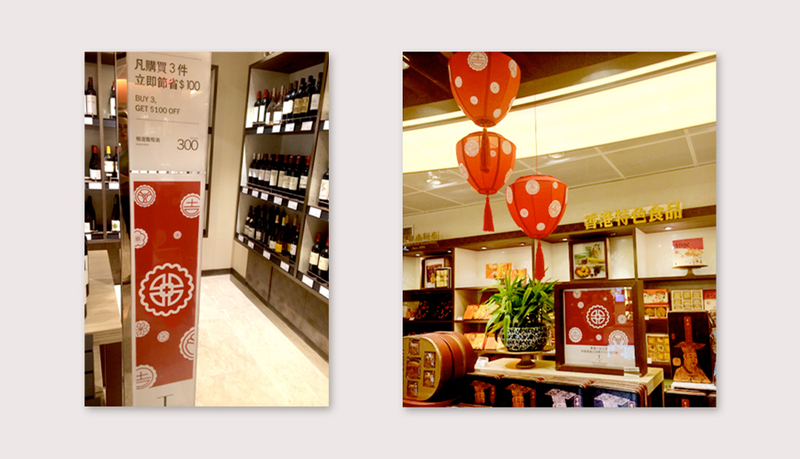 I've created the mid-autumn festival graphic for DFS in-store, inspired by the festival food "moon cake". 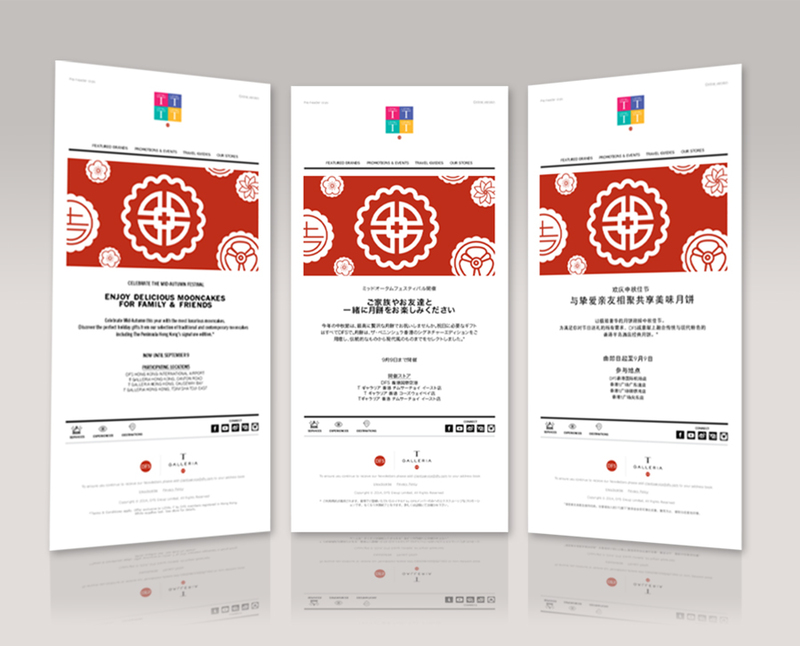 The below is how the traditional mooncakes look like. 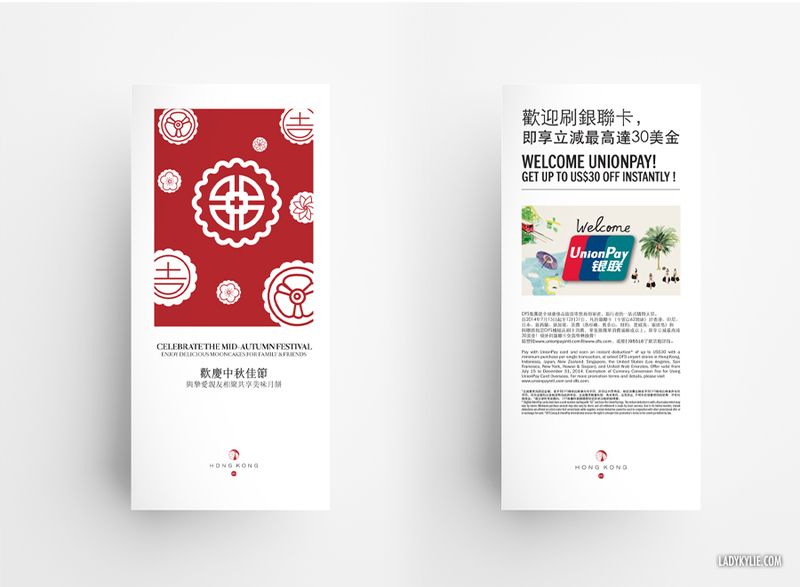 And I've come up with 4 Mooncakes graphic as the key elements. They are not perfectly geometric on pupose, the imperfectless is to make them a little more real. 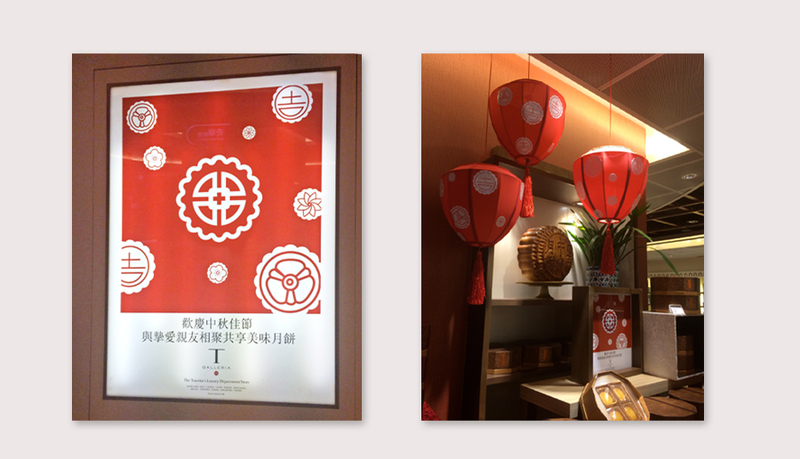 Light boxes in store, and the graphic has been converted into Asian lanterns.